← What role can social media play in your personal injury case? A bill proposed by the Florida Legislature could jeopardize the future of greyhound racing in the state. Animal rights advocates are pleased with the news. Those in the greyhound industry, however, worry about the thousands of people who could face unemployment as a result. Though profits from greyhound racing have decreased in recent years, Florida remains one of the only states to allow the practice. Florida’s industry boasts more than 8,000 dogs, 4,000 workers, and 12 tracks. A law put into place years ago requires that tracks hold races in order to have slot machines and betting games. This law was put into place in the hopes of protecting greyhound racing industry workers, but animal activists do not see the benefit in allowing dog races to continue. Animal rights activists have been pushing for state legislators to “decouple” racing and gambling, meaning tracks could decide whether or not they would continue to hold dog races. Multiple bills with decoupling language have died in the past. But, because the state is working to regulate several different aspects of the gambling industry at once, decoupling could be part of a bigger deal in 2016. Spokesperson for the Florida Greyhound Association, David Bishop, said, “Clearly we do not support decoupling. 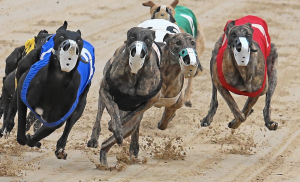 This will bring an end to greyhound racing in Florida.” Bishop went on to explain that many tracks have “moved on” from dog racing, holding races only because they are required to by law if they wish to operate slot machines and offer other casino-type games. 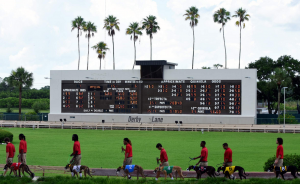 Palm Beach Kennel Club is one of Florida’s biggest greyhound racing facilities, running more than 5,000 races a year. Spokeswoman for the club said that the track does not have any current plans to do away with dog racing. “We pretty much run year-round,” spokeswoman Theresa Hume said. “We feel like we’re successful at it. We have no plans to change that. Currently.” For more information contact a legal representative today to set up your 15 minute free consultation at 813-931-0840!